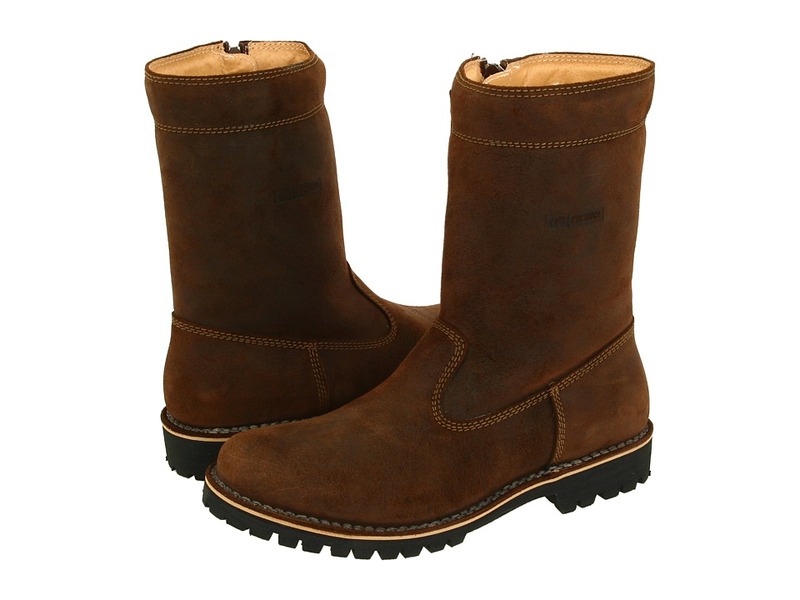 You will not regret sliding your feet into the warm and extremely comfortable Montana 3 Wool by Tecnica. Oiled suede upper for a classic look and added durability. Synthetic Wool lining to keep your tootsies warm this winter season. Super-soft PE footbed that provides all day comfort. Insulated rubber midsole provides breathability and comfort throughout your day. Non-marking rugged rubber outsole gives added grip and traction for all types of surfaces. Measurements: Weight: 2 lbs 1 oz Circumference: 15 1 4 in Shaft: 10 in Product measurements were taken using size 11, width D - Medium. Please note that measurements may vary by size. Weight of footwear is based on a single item, not a pair. 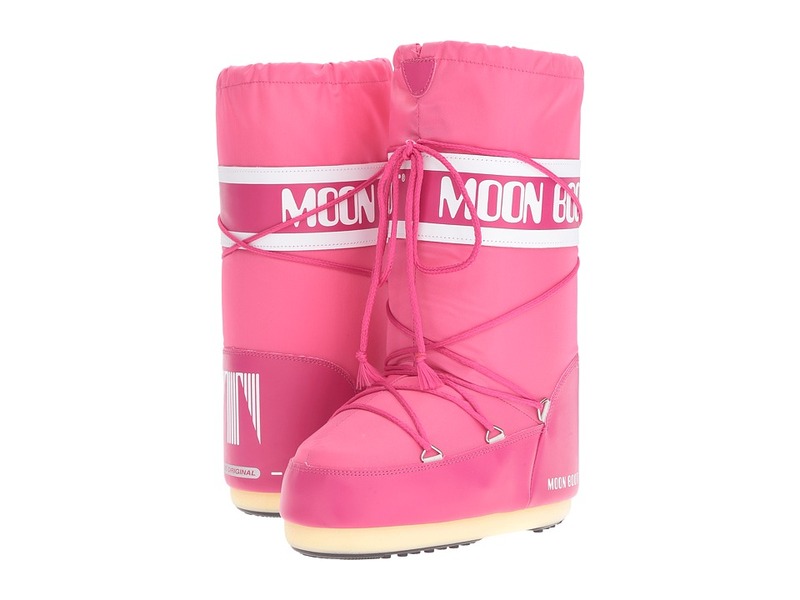 Take the lodge by storm in the eye-catching Moon Boot W.E. Monaco from Tecnica. Durable nylon upper. Protective synthetic rand. Faux fur trim at cuff. Removable felt lining. Foam insulation helps keep feet cozy. Hardy rubber outsole. Imported. Measurements: Heel Height: 1 in Weight: 1 lb 6 oz Circumference: 13 3 4 in Shaft: 13 3 4 in Platform Height: 3 4 in Product measurements were taken using size 39 (US Women~s 8), width B - Medium. Please note that measurements may vary by size. Weight of footwear is based on a single item, not a pair. 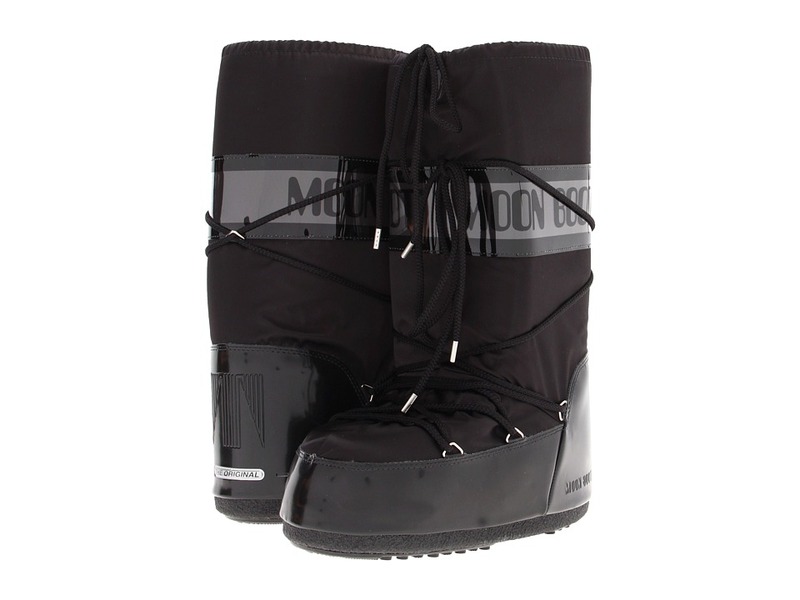 Look like you~re heading to the Alps for weekend with the sophisticated look of the Moon Boot Monaco Felt from Tecnica. Durable waterproof nylon and synthetic upper. Protective synthetic rand. Easy lace-up design. Removable felt lining. Cushioned footbed for all-day comfort. Hardy rubber outsole. Imported. Measurements: Weight: 1 lb 3 oz Circumference: 14 1 2 in Shaft: 11 1 4 in Product measurements were taken using size 40 (US Women~s 8.5), width B - Medium. Please note that measurements may vary by size. Weight of footwear is based on a single item, not a pair. 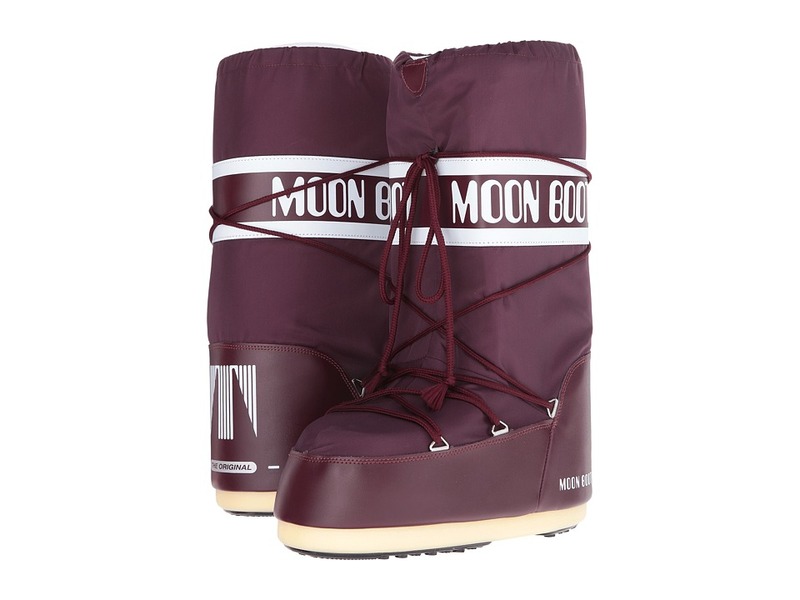 The Tecnica Moon Boot W.E. Vienna Felt delivers rugged style with a chic flair. 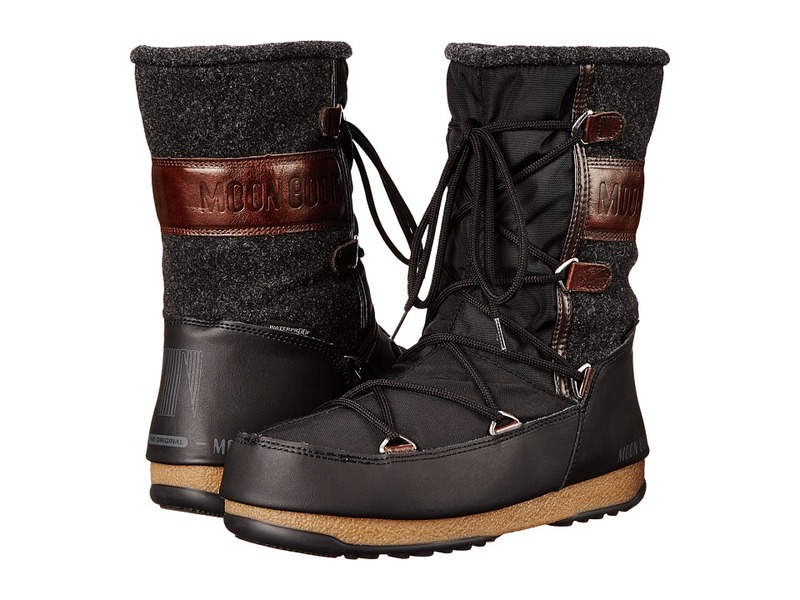 Durable upper comprised of nylon, cotton, and leather. Traditional lace-up closure with metal D-rings. Polyester and textile lining delivers insulation and comfort. TR rubber outsole with textured grip for added traction. Imported. Measurements: Heel Height: 1 in Weight: 1 lb 1 oz Shaft: 9 in Platform Height: 1 2 in Product measurements were taken using size 39 (US Women~s 8), width B - Medium. Please note that measurements may vary by size. Weight of footwear is based on a single item, not a pair. 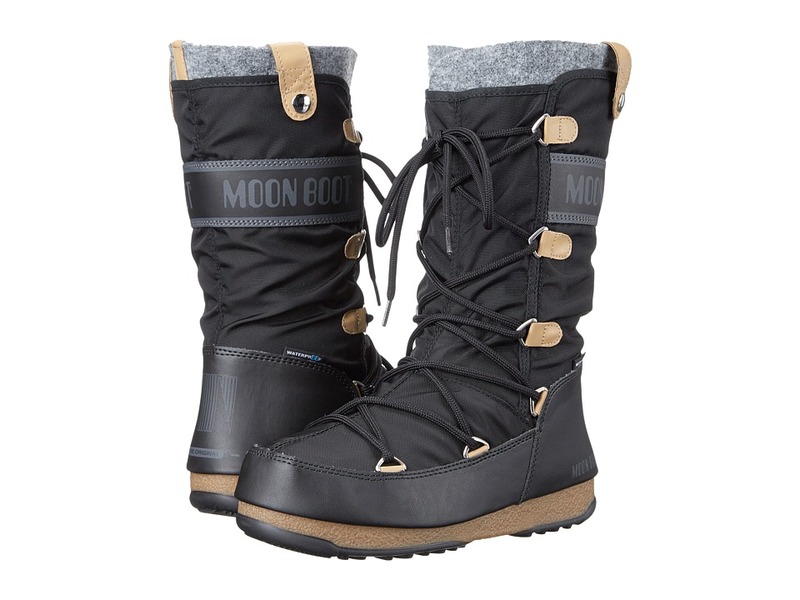 You can~t go wrong with the streamline, classic style of the Tecnica Moon Boot Nylon. Nylon and synthetic upper. Full length wraparound lacing. High quality foam insulation. Polyester textile lining allows for added breathability. Lightly cushioned textile footbed for underfoot comfort. Durable TR rubber outsole provides added cushioning and excellent traction. Imported. Measurements: Weight: 1 lb 7 oz Circumference: 14 1 2 in Shaft: 14 1 2 in Product measurements were taken using size 44 (US Men~s 11), width Medium. Please note that measurements may vary by size. Weight of footwear is based on a single item, not a pair. 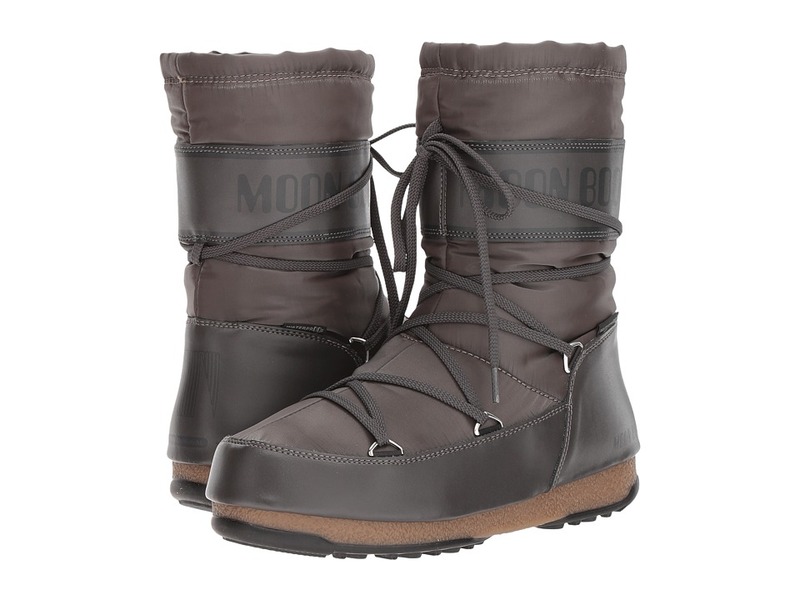 Relaxed in the richly comfortable style of the Moon Boot&amp#174 WE Soft Shade Mid boot from Tecnica. Synthetic leather Cordura upper. Protective synthetic rand. Traditional lace-up closure with metal D-rings. Soft foam lining for added comfort and flexibility. Cushioned footbed for all-day comfort. Hardy rubber outsole. Imported. Measurements: Heel Height: 1 1 4 in Weight: 1 lb 2 oz Circumference: 14 in Shaft: 9 in Platform Height: 3 4 in Product measurements were taken using size 39 (US Women~s 8), width B - Medium. Please note that measurements may vary by size. Weight of footwear is based on a single item, not a pair. 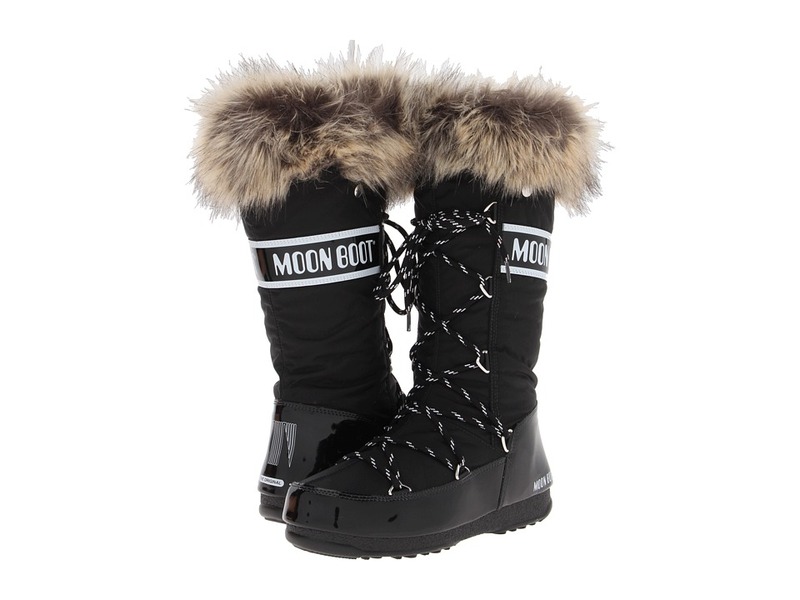 Stay cozily in style and comfortable wherever you go this season with the Moon Boot&amp#174 WE Pulse Mid boot from Tecnica. 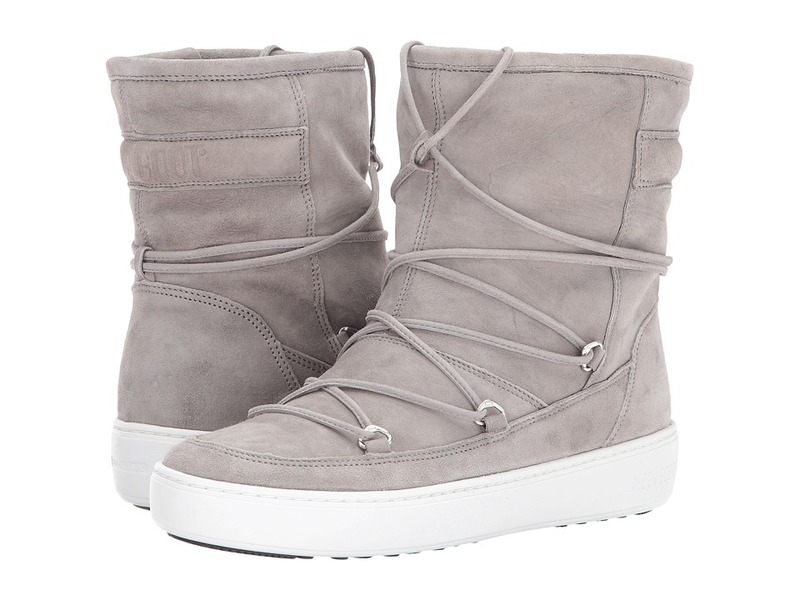 Soft suede leather upper. Protective synthetic rand. Traditional lace-up closure with metal D-rings. Soft faux-fur lining for added comfort and warmth. Cushioned textile footbed for all-day comfort. Hardy rubber outsole for excellent traction. Imported. Measurements: Weight: 14 oz Circumference: 14 in Shaft: 7 in Product measurements were taken using size 39 (US Women~s 8), width B - Medium. Please note that measurements may vary by size. Weight of footwear is based on a single item, not a pair.